More than twenty years has passed since Mongolia selected path of democracy and prioritization of human rights and liberties, and comprehensive political and economic changes. Hence, fundamental changes occurred in our social, economic and defense systems. In this new environment, Mongolia’s foreign policy shifted more towards Asia, Pacific region. Although new tendencies in relations between the regional countries have brought hope for brighter future, but number of old problems remain intact. End of the Cold war and prevail of friendly international relations in the Asia Pacific provide more positive expectations about the further developments in relations between the regional countries. Besides this, it is getting clear that relations between the regional countries, which earlier belonged to two different systems, still bear many contradictions of economic, political, territorial, religious and ethnic nature. Besides this, substantial military-political changes occurred in geopolitical environment of Mongolia, and a number of new factors affecting regional and Mongolian security emerged. The main content of the new geopolitical situation is that the super powers, instead of confronting each other, started to seek for mutual understanding, cooperation and joint efforts to fight against common threats thus preventing global or nuclear wars. Nonetheless, we live in a time when military means still remain their importance and role in international relations. In addition, non-traditional threats to human existence such as environment pollution, global warming, natural disasters, spread of highly epidemic diseases, mass poverty, immigration, transnational crime, drug trafficking, illegal sell of nuclear materials, attempts of their production as well as international terrorism have become new challenges to the security of Asian countries. Direct affect of non-traditional threats on security of states and individual’s security as well, the problem of providing human security by joint efforts including international peacekeeping operations has become one of the main issues of political, economic and social policies and activities of all regional states. These new geopolitical realities demanded further deepening of democracy and strengthening of market economy relations as well as optimal definition of defense policy taking into account present geopolitical environment and internal situation of the country, creation of integrated defense system, effective settlement of the main issues of the armed forces organization and upgrading capability of military units matching modern demands of fighting against traditional and non-traditional threats. In early 1990s, the joint defense system of socialist countries vanished. Mongolian economy faced deep crisis. Foreign military aid practically stopped. Principal changes were made in our foreign policy. All these forced to cut substantially the national defense budget, size of armed forces and the term of military service as well. Before 1990s, content of the Mongolia’s defense policy aimed at comprehensive preparations against the military threat from her southern neighbor, strengthening military cooperation with the Soviet Union, education of soldiers in the spirit of defending the eastern borders of the socialist camp, and increasing number of military servicemen, equipment, number of military units and structure of the People’s Army for the need to combat side by side with Soviet Armed Forces. At present, when principal changes occur in the Asia Pacific region’s geopolitical environment as well as in Mongolian internal and external policies and her relations with neighboring countries, substantial corrections understandably were made in the content of the state defense policy. First of all, in peace time Mongolia shall not joint any military-political alliances. Mongolia totally abandoned concept of deploying foreign troops on her territory or declaring any nation as her enemy. Based on her past historical experience, Mongolian people fully realize how the harsh fight of powerful nations of various nature, their competition for protectorates may bring the world to the brink of catastrophe and how dangerous is active involvement other nations, especially small ones in such confrontation for their sovereignty and international reputation. Mongolia strongly believe that in a world when humankind stocked a massive arsenal of nuclear and not less powerful conventional arms, her internal and external policy should not include any ideas of supporting nations that rely on solution of political problems using military means. In new post-Cold War realities, all nations should combine their efforts to establish peace globally and regionally, and to fight against international terrorism. Considering herself as one of the newly established democracies Mongolia always express her readiness to contribute to international efforts in due course. Active participation in common actions directed at deepening mutual trust between nations and creation of effective mechanism for preventing wars and military conflicts is one of the Mongolia’s foreign policy principles. Objective of providing her military security within the framework of international cooperation for stabilizing situation and establishing peace in the Asia Pacific and globally holds an important place in Mongolia’s defense policy. The country is firm in her support for barring spread of terrorism in this region, ending arms race, setting up limits to the armed forces build up, halting deployment of foreign military bases on others territory and steady dissolution of such existing foreign military bases. In addition, Mongolia considers important to develop cooperation between the nations in political, economic, humanitarian and environment protection areas, and to set up permanent international mechanism for cooperation in military confidence building and regulation of military relations among the regional nations including prevention and reduction of military threats. Mongolia’s defense policy also based on concept that our security depends on Mongolia’s relations with her two neighbors, namely Russia and China, as well as on content of their relations and internal situation in these countries. It is clear that it is the Mongolia’s faith to be a buffer state between these two mighty military powers. This military-geographic specific of Mongolia inevitability demands us to maintain friendly relations with our neighbors and not to interfere in their mutual relations. Mongolia’s policy not to deploy and transit foreign troops on her territory, and not joint any military alliance in peacetime is, first of all, an expression of her desire to have equally balanced and friendly relations with her two immediate neighbors. Mongolia’s believe that it is important to have trilateral agreement on restricting Russian and Chinese military activities on territories bordering Mongolia also relates to this desire. Mongolia, which has declared her territory as NWFZ, considers that declaration of border territories of neighboring countries having the same status would benefit not only Mongolia, but the Russia and China’s security as well. In addition, the real military security of Mongolia could be also guaranteed by trilateral agreement obliging Russia and China not to use the territory of Mongolia in their adversary activities against each other as well as Mongolia not to cause reasons for such the adversary between the two countries. At present, there are not any disputes between Mongolia and China that could cause military conflict among them. There is no legal basis for China to put any political and territorial claim against Mongolia, because all such problems have been bilaterally and internationally settled at the highest level, and the state authorities of the two countries have been signed relevant agreements. However, Mongolian people concerns that some problems that exist in relations between China and some other countries as well as internal social, political and ethnic issues in long run may bring about the situation that Russia faced in early 1990s. Recently there is tendency to seek actively strengthening of military cooperation between Russia and Commonwealth of Independent States (CIS) involving China and some other Asian countries in this direction. That is connected with the fact that NATO’s expansion to the East became a reality. In this regard, Mongolia pays a great attention to security and military-political cooperation activity implemented by the SCO. 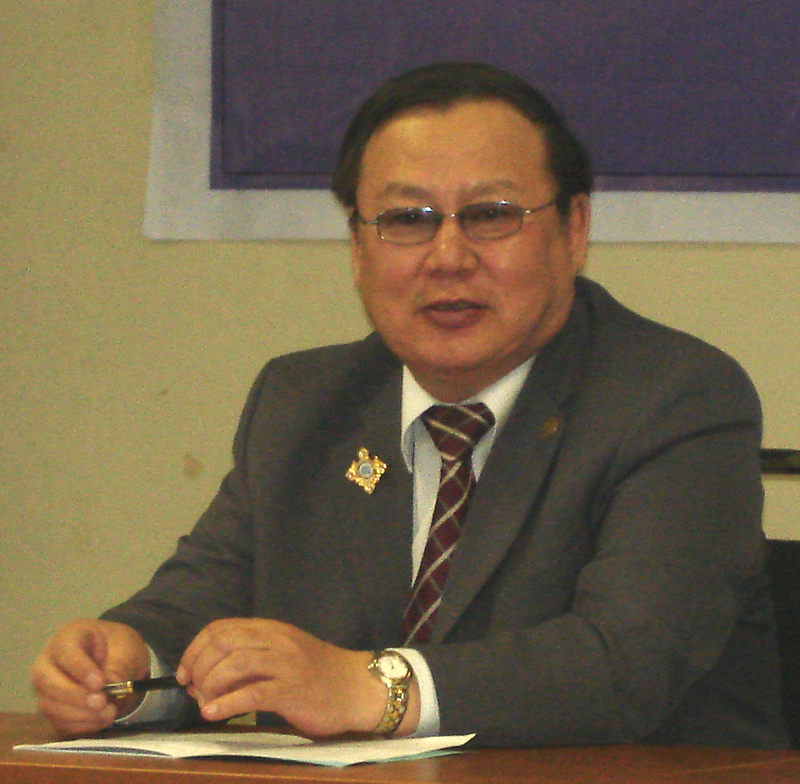 In such situation, Mongolia naturally connects her military security not only with Russia and China, but also in accordance with the universally recognized norms of international relations by developing ties and cooperation with the world influential countries like the USA as well as with her activities within the framework of the UN and other competent international organizations. Our neighbors, Russia and China, constantly express their respect to this principal position and sovereignty of Mongolia. Our defense policy also based on concept that besides objective to provide security of the country by political-diplomatic means it is vital that every citizen of Mongolia shall be ready to defend their national core values – state independence and territorial integrity of the country. The present essence of the defense policy comprises a goal of strengthening and improving capability of the self-defense armed forces in accordance with the Constitution of Mongolia, and creating integral territorial defense system based on participation of the whole population of the country. State defense policy of Mongolia has been implemented in natural connection with the renewal of legal acts related to the implementation of defense activities and regulation of social relations in due course. In recent years, many important steps have made in this direction. Very first time it was declared in the Constitution that defense of the country is direct responsibility of the state. It was legally delineated that Mongolia shall have armed forces for self-defense and military service is compulsory for every citizen. According to the Constitution, the President of the country is the Commander-in-Chief of the Armed Forces. The Government is responsible for strengthening of defense capabilities of the country. Thus, a legal basis for implementing the democratic principle of exercising control over the armed forces not by a political party but by the generally elected state and executive leadership has been set up. In 1993 the Parliament of Mongolia adopted the Law on Defense of Mongolia which regulates basic relations connected to the implementation of defense policy and lays down the basis for all other relevant laws and legal acts. The idea of exercising state and civilian control over the defense and armed forces was clearly set up in this law. Thus, MOD became an organization responsible for implementing the state defense policy at the national level and carrying out supply of necessary equipment to armed forces. MOD is also a body designed to exercise civilian control over the armed forces. The Minister for Defense is civilian person, while the Chief of General Staff is a professional military. Very first time, this law legally defined the structure, composition, organization and mission of the Mongolian Armed Forces. This created possibility to develop compact, capable and unified self-defense armed forces that match social-economic realities. Political importance of such legalization was to prove to other countries that our defense policy and activities directed only for her self-defense corresponding to the non-alignment and peaceful foreign policy of Mongolia. Development of a modern professional army capable in times of war to implement multi dimensional tasks is the core challenge in setting up unified defense system of the country. For this purpose, active measures are taken to develop the armed forces adequate to the requirements of modern military theory and practice, capable for rapid and mobile missions, and combining voluntary and compulsory military services. Mongolia considers nuclear war as a catastrophe that may bring humanity to its general extinction. Therefore, Mongolia declared her territory as NWFZ and obtained positive and negative assurances from the nuclear powers to respect this status. Mongolia strives actively participate in international efforts to ban nuclear weapon tests and compel the NPT regime. As of conventional arms concerned, Mongolia strongly condemns wars and conflicts as a mean to settle disputes in relations between the nations, but she recognizes that in some cases wars and armed conflicts may occur, and the country might be involved in it to defend herself. In such cases, according to the Law on Defense, Mongolia shall have right to declare any country and their allies who threatened or started armed aggression against us as our enemy, and call up population for general resistance to such aggression. Because Mongolia is not able to protect her whole territory evenly by military forces, she prepares her armed forces to localized combat actions and develops consistent theory and practice of military art. This concept relates to armed attempts to seize certain parts of her territory or border provocations. In case of regional large-scale conflict involving whole or substantial part of her territory, Mongolia maintains right to apply to other nations and international organizations for assistance in protecting her sovereignty and social system. Content of Mongolia’s defense policy is peaceful. At present when military force remains intact as a mean for solving interstate disputes, defense policy reflects the need for all free nations, even small ones like Mongolia, for providing their security by all means.